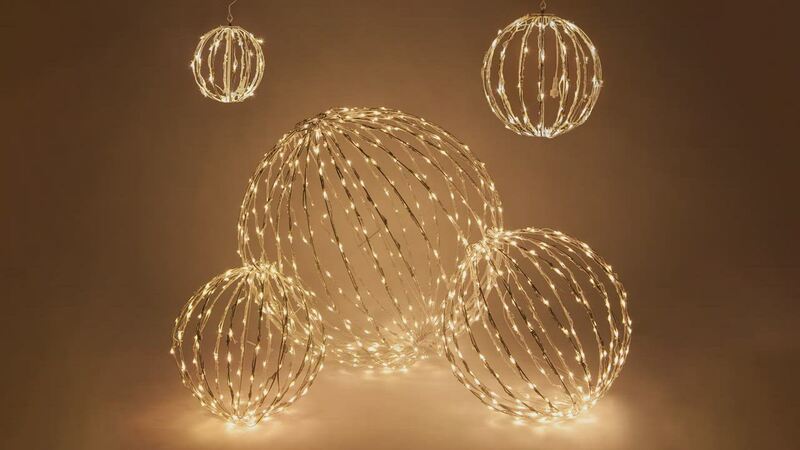 Create a graceful warm glow with this brown Christmas Light Ball with warm white LED lights. The fold-flat frame assembles in seconds, then stores away with ease. Hang this light ball from branches, patios and porches, inside or out. The hollow center is ideal for filling with flowers, greenery, ribbon, or whatever your imagination comes up with. Its natural hues of brown frame and warm white light make it ideal for a wide array of floral and greenery. Ordered three more of these to add to the three I purchased last year. I can see using these at Halloween by covering with some orange and purple fabric. Lots of great compliments from the neighbors using these as accents in my foliage. Overall pleased with my purchase.